As a part of our ongoing BEST EVER series, we’d like to share some of the amazing breakfasts we’ve had around the world. Keep in mind that this is just a sampling. 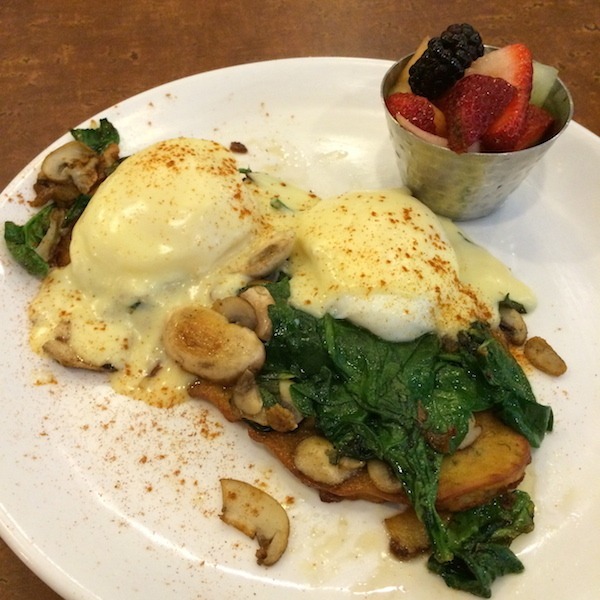 We’d love to know where you’ve had your favorite breakfasts so feel free to share in the comments below! Breakfast at the Pand Hotel in Bruges, Belgium. This breakfast was perfect. The ambiance is delightful. Every single item on the menu was spectacular. The service was impeccable. And, a glass of champagne to pair with my custom created omelet added just the perfect touch. Every year we visit the Los Angeles area for the holidays and every year we have Christmas Day breakfast at Mort’s Deli in Tarzana, California. 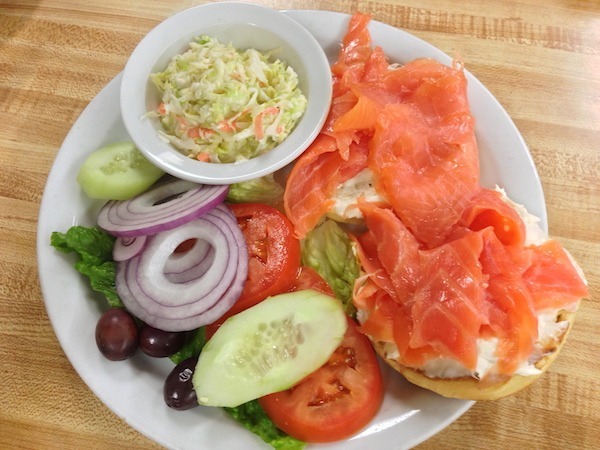 Their lox is fresh and delicious and come with the fantastic bagels from Bea’s Bakery right next store. Loyal customers drive miles and miles to come here. We get it. What’s not to like? Sometimes you just don’t want meat at breakfast and this veggie omelet at Dahlia’s in Oak Park, Illinois served on potato pancakes is the perfect alternative. Deliciously fresh and fully satisfying, this breakfast lets you save the bacon for another day. 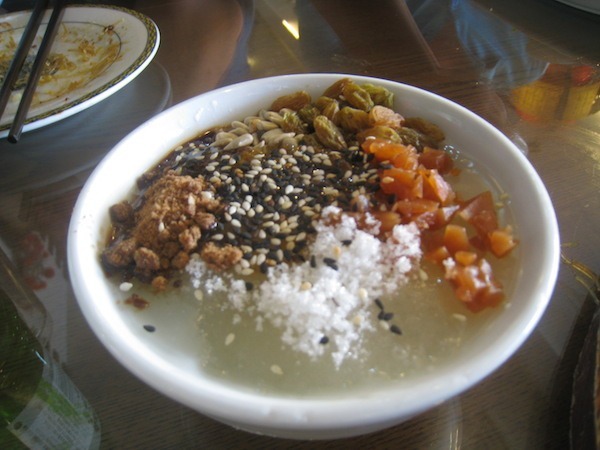 If you like something with a little bit of sweetness congee or porridge is just the ticket. We had this delicious bowl in a roadside restaurant in Beijing, China on the way to the Great Wall. It came with a little brown sugar, sesame seeds, nuts, and dried fruit. Simple, natural and filling, you can find a versatile boiled rice form of congee served all over Asia available for breakfast, as a side dish, with hefty condiments for a meal or even for dessert. 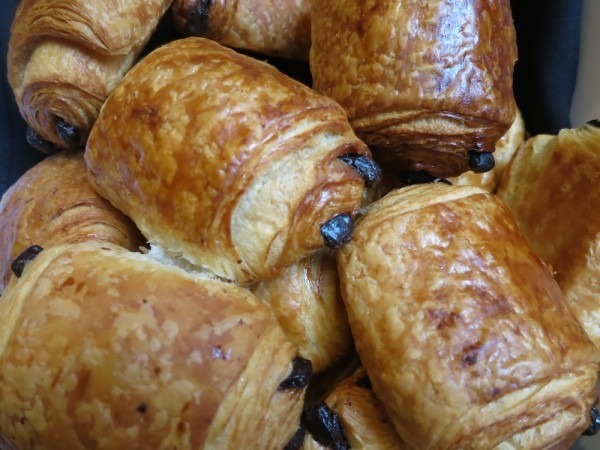 We think the best pastries are in France, but anywhere in the world, you can get a delicious, flaky, buttery pain au chocolat is where you’ll find us. These are some of our favorites from Gérard Mulot in the Saint-Germain-Prés area of Paris. This is one of my latest new favorite breakfasts. A delicate crepe filled with Hickory Smoked Ham, Saxony Alpine Cheese, Housemade Pickles, Dijonnaise and topped with two poached eggs. These flavors are so well balanced I ate every single bite. I wanted to take a bottle of the housemade pickles home – so delicious. The other breakfast dishes we saw all looked amazing at Storyhill BKC. This is a “must eat at” place in Milwaukee, Wisconsin. There are more tasty breakfasts in the midwest in Ann Arbor, Michigan. We just loved the light and airy feel of Wilma’s and when the food came out we gasped with joy. 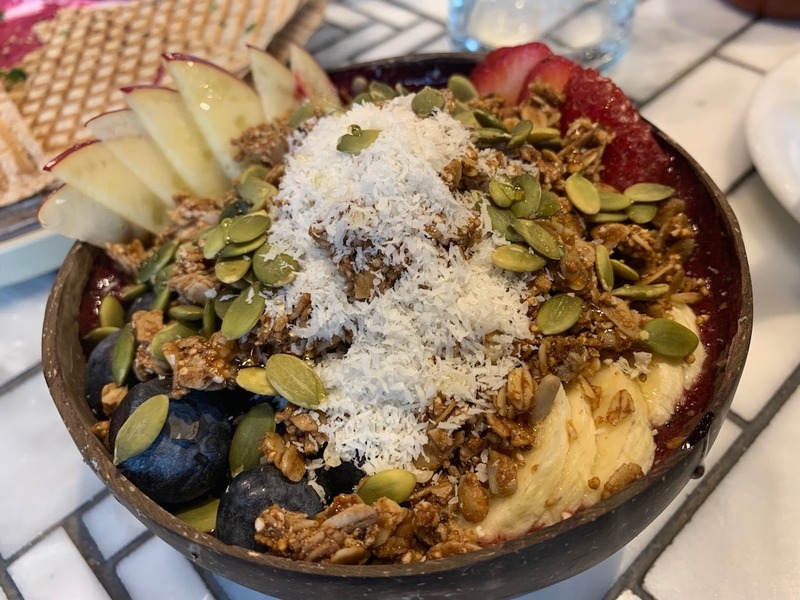 From the matcha tea to the acai and poke bowls there is something for everyone. Farm fresh ingredients in a friendly setting. Don’t miss it. The Big Apple is full of terrific eating possibilities but to get your day off to a great start find a handmade bagel sandwich with your choice of bacon, ham or sausage, egg, and cheese at any of the large delis and bodegas. 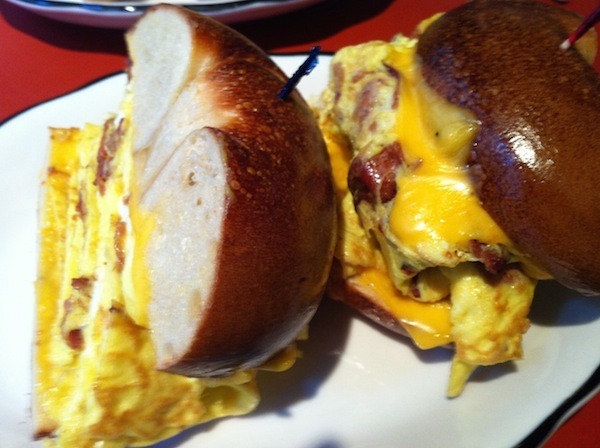 Affectionately known as a “bagel bomb,” one of these babies will keep you full well into lunchtime. 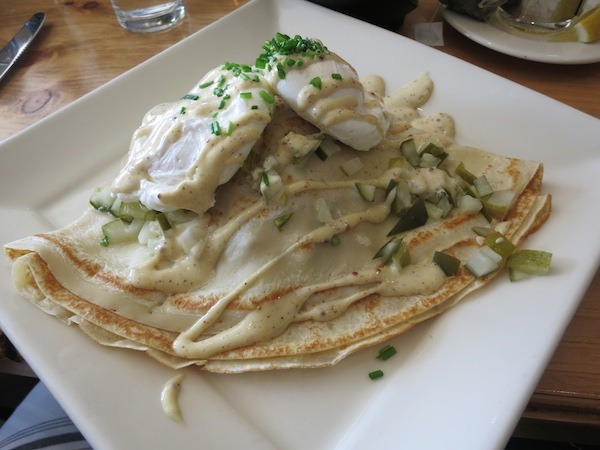 Whether you’re eating breakfast or brunch don’t miss the chance to try to galette if you’re in the North of France, especially in Normandy. A galette is like a thicker, rustic cousin to the more delicate crepe. 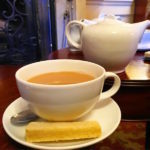 A cup of locally made hot apple cider, alcoholic or not makes a great pairing and a memorable way to start the day. Oklahoma City. It may not be the first place you think of when you think the best food. 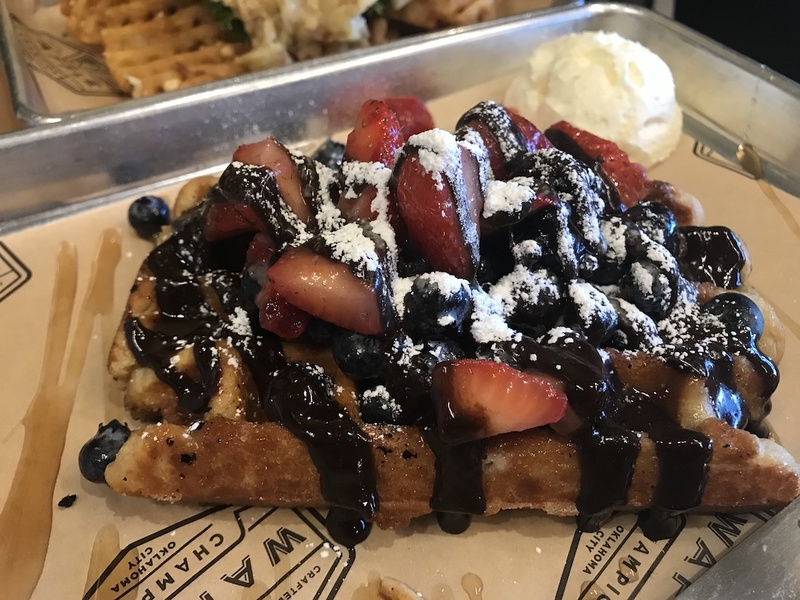 Think again, and for breakfast go to the Waffle Champion. Whether you want sweet or savory they have you covered. 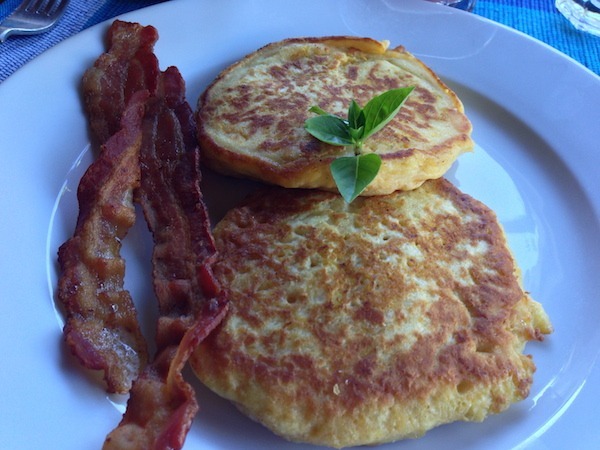 Fresh homemade breakfast on a beautiful tropical island, what could be better than that? Absolutely nothing. At the Hermitage Plantation on the Island of Nevis in the Caribbean, every breakfast was fresh, homemade and delicious. But their coconut pancakes still have us dreaming about their delicate sweet taste and deliciously crisp edges. They also make us miss those warm summer breezes and rum punch, reminding us that we have to go back to visit soon. Do you like hearty breakfasts? Like cowboy hearty? 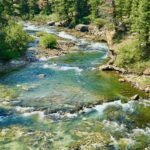 Then don’t miss the Western Cafe in Bozeman, Montana, this is Yellowstone Country. 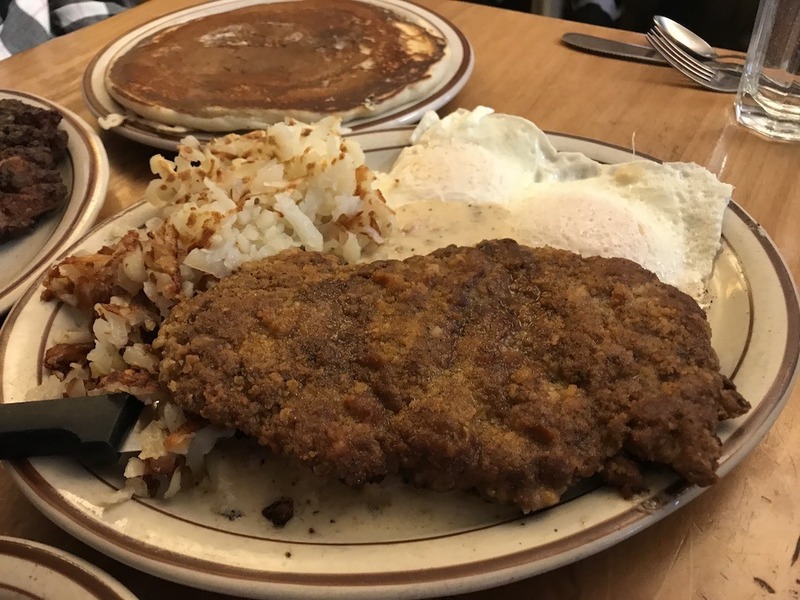 Saddle up to the counter with the locals and order up the chicken-fried steak served with 2 eggs, hash browns and toast. Want something more on the sweet side? How about the Bobcat Special, 2 cinnamon roll slices made into French Toast? All made from scratch and served with a heap of local pride. Now, who’s hungry for breakfast? 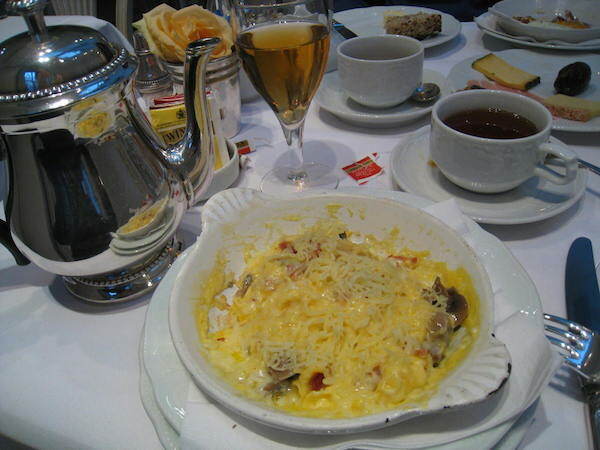 Share your favorite breakfasts around the world in the comments below. QUICK BITE: We continue our BEST EVER series with Breakfast Around the World. Take a tour of some of the best dishes the morning has to offer around the globe. Living between Chicago, Oak Park and Milwaukee, can’t wait to try those restaurants. Hi Stacey! If you go to Mort’s DON’T miss Bea’s Bakery right next store. The best butter cookies in the valley, not to mention, rugalach, sweet rolls, and corn-meal rye. Get there! Now I really miss it. Thanks for stopping by. I love breakfast so this has me drooling! Especially that lox platter – one of my favorite dishes. I’ll be in Milwaukee later this month so I’ll have to check out Storyhill BKC! Definitely don’t miss Storyhill BKC it’s truly a must-eat-at in Milwaukee. 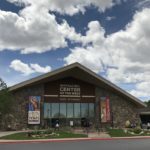 Have a great visit! slurp! I pick the one from Wisconsin and Bruges. Wow! Those are some good eats. I love chicken and waffles and I am getting ready to have them Sunday at a little local joint in Charleston ,WV. The description reads “Black Sheep Chicken and Waffles: Honey Nut Breaded Fried Chicken, Belgian Waffle w/Candied Pecans, Candied Jalapenos, and Fried Onion Straws topped w/ Sage infused Maple Syrup” so I am delaying my return to Florida so I don’t miss it. 😉 Nice post! 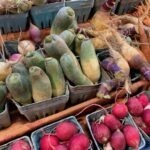 Wow what awesome food photos! That porridge looks absolutely delicious! I’m vegan myself but I’m definitely a huge foodie and I love breakfasts and brunches all over the world! Great article idea! Oh wow, I am definitely craving some of those breakfasts. Would love to try some of the ones I haven’t had before! Isn’t breakfast everyone’s favourite meal? I would love those coconut pancakes for sure! This week I will be trying to fit in as many free Calgary Stampede pancake breakfasts as possible. During the Stampede there are dozens of these breakfasts happening all over town. There’s even an app to find out where the breakfasts are happening each day. With breakfasts like these, who needs the other meal types?! 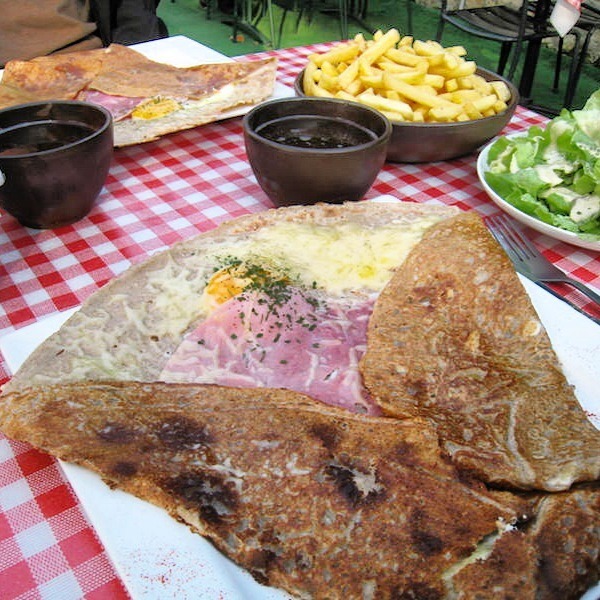 They all look great, but the Crepes Monsieur offer incredible taste potential. My personal breakfast destination is Mexican, whether an opulent platter of eggs, beans, tortillas and potatoes with a side of fruit, or just a torta from a street vendor. 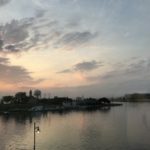 Don’t usually leave comments, but wanted to let you know that I really enjoyed reading the Best Breakfasts around the world! Makes me want to buy a plane ticket right now! Thanks for stopping by glad you enjoyed it! Looks yummy! I think the best breakfast I’ve had around the world was in Istanbul – olives, tomatoes, cucumber, cheese, hard boiled eggs, coffee & tea. Thanks Leyla for reminding me of huevos rancheros they’re so delicous and all the others that sounds so interesting. I love that idea! We’ll have to check it out next time we’re Singapore. Thanks Connie!